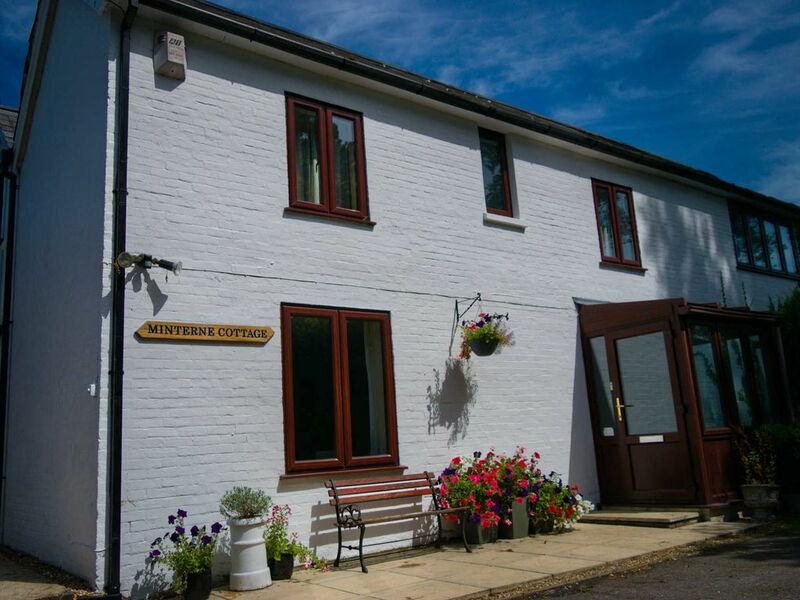 The house is perfect for an off-peak short break or longer holiday at any time of the year and provides a high standard of self-catering accommodation. The New Forest is located just across the road and within minutes you can escape into the wilderness for peaceful walks, cycling and exploring. The town of Hythe, which is located on the shore of Southampton Water, is just a 5 minute drive away. The town has lots to offer with numerous shops, boutiques, restaurants, thriving Tuesday market and regular ferries to Southampton city. Quaint English villages and cottages with thatched roofs are waiting to be explored. The forest boasts miles of open heathland where cattle, ponies and donkeys graze. Travel a little further to the cities of Winchester, Portsmouth, Salisbury, Bournemouth and Southampton - all within an hours' drive. Minterne Cottage is a great base from which to explore both the forest with its miles of tracks and trails and the coast with beaches and cliff top walks. Born in 1980 and grew up in Minterne Cottage, I currently live in Farnborough and work in London. This property was my family home, we moved in when I was 2 years old in 1982. The house has now been passed on and we would like to provide it for other families to enjoy as much as we did growing up. Located close enough to the New Forest you can walk into the forest across the road. There are many local attractions to visit during your stay such as beautiful towns and villages, local farmers markets where you can buy locally produced products. Lepe and Calshot beaches are a short drive away with view to the Isle of Wight. I wanted a special place to stay for my family for the 2 nights prior to my son's wedding and Minterne Cottage exceeded all our hopes and expectations. The cottage was spotlessly clean, warm, inviting and comfortable. As my son and I walked into the beautiful lounge area he said "Wow, this was exactly the sort of place I had hoped we might stay in". We were able to relax together as a family and made the beginning of a wonderful wedding weekend very special. There was space for all of us to be comfortable and the kitchen was wonderfully equipped for making family meals. Martyn, the owner, was incredibly helpful whenever I had questions prior to our arrival and helped make our weekend stress free and easy. I wholeheartedly recommend Minterne Cottage as a wonderful place to stay and hope that we will be back in the future. The cottage was perfect for our needs and has plenty of space for our 4 active young girls to run around in. The location is brilliant with so much to see and do. We felt very much at home in the cottage and it was well equipped. We will definitely be returning to stay in this cottage! We had a wonderful weekend staying in this cottage. It was lovely and clean to a high standard and well furnished. It has a beautiful garden area too. Great location to local amenities and other local tourist attractions. A must stay cottage if you're in the area. We will definitely be back. Thank you!